The officers were charged with falsifying details of the 2014 shooting. 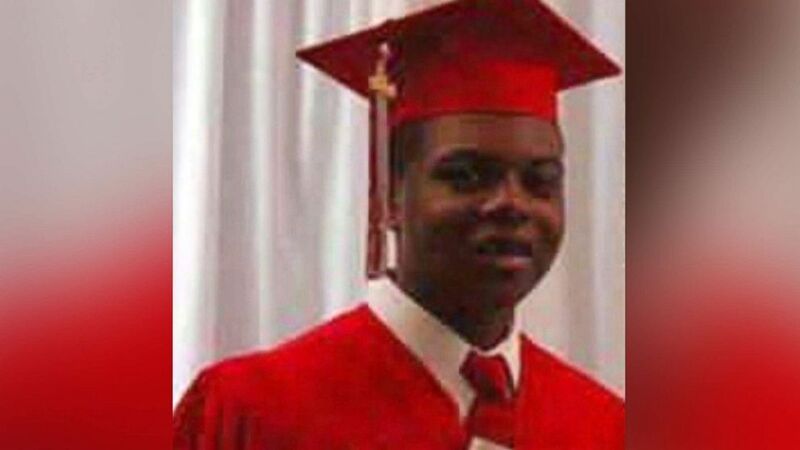 Three Chicago police officers have been found not guilty of falsifying details to cover up the shooting death of Laquan Mcdonald in 2014. McDonald was shot 16 times by Chicago police officer Jason Van Dyke, who was found guilty of murder in October. Det. David March, 60, and patrol officers Joseph Walsh 50, and Thomas Gaffney, 45, were each charged with conspiracy, official misconduct and obstruction of justice. A Cook County judge acquitted the officers of all charges. (Zbigniew Bzdak/Chicago Tribune via AP) This combination of Nov. 28, 2018 file photos shows former Chicago Police officer Joseph Walsh, left, former detective David March and former officer Thomas Gaffney, accused of trying to cover up the fatal shooting of Laquan McDonald, during a bench trial before Judge Domenica A. Stephenson at Leighton Criminal Court Building in Chicago. The officers were accused of conspiring in the "critical early hours and days" after the shooting, according to court documents filed in Cook County in June 2017. Prosecutors also accused the officers of coordinating their activities to protect each other and other members of the department by furnishing false information, making false police reports, failing to report or correct false information, ignoring contrary information or evidence, obstructing justice, failing to perform a mandatory duty and performing acts each knew were forbidden to perfect. March, Walsh and Gaffney each opted for a bench trial, so the verdict was reached without a jury. Cook County Judge Domenica Stephens found that prosecutors did not prove beyond a reasonable doubt that the officers’ reports and statements about what happened that night were knowingly false or that they constituted a coordinated effort to falsify accounts of the shooting. Domenica also found that the officers followed requirements to preserve evidence and did not seek to conceal it. Chicago Fraternal Order of Police President Kevin Graham told ABC News that the officers acquitted did "nothing wrong," adding that they were charged at the hands of an "overzealous special prosecutor." "It was very clear from the judge’s ruling that there was no credible evidence that they did anything to cover up a crime," Graham said. The police department will continue to "work to ensure" that the systemic reform and "best training" currently underway will continue, according to a joint statement by Chicago Mayor Rahm Emanuel and Chicago Police Superintendent Eddie Johnson. "Unlike past reforms, these will stand the test of time," the statement read. "We have entered into an enforceable consent decree with the Illinois Attorney General, equipped all patrol officers with body worn cameras, revised use of force policies, adopted the recommendations of the Community Policing Advisory Panel, and ensured every officer has the best training throughout their careers." The status of the officers' employment at the police department was not immediately clear.